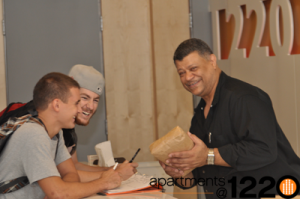 At the Apartments @ 1220, our entire team is available to address your service needs. Our management team will reach out to welcome you to the building and help you settle in and are also available on an ongoing basis to address your requests and questions regarding your experience in the building. Parents will often ask if we provide 24 hour service. The answer is YES! Our building management team works tirelessly to provide an exceptional experience for your child. 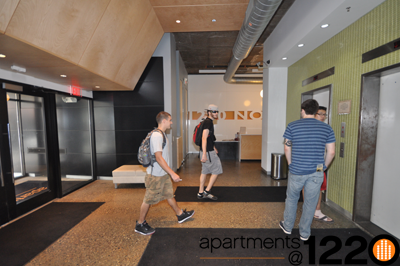 With over 30 cameras monitoring the ground floor common areas and lobby, a card access entry system to the building, intercom system required to buzz up guests, a 24 hour lobby attendant, and 24/7 on call emergency maintenance, your special student is in expert hands.